Zenescope, comiXology and Amazon are staying the best of friends with an expanded and renewed distribution agreement to sell Zenescope's digital comics and collections across the platforms. 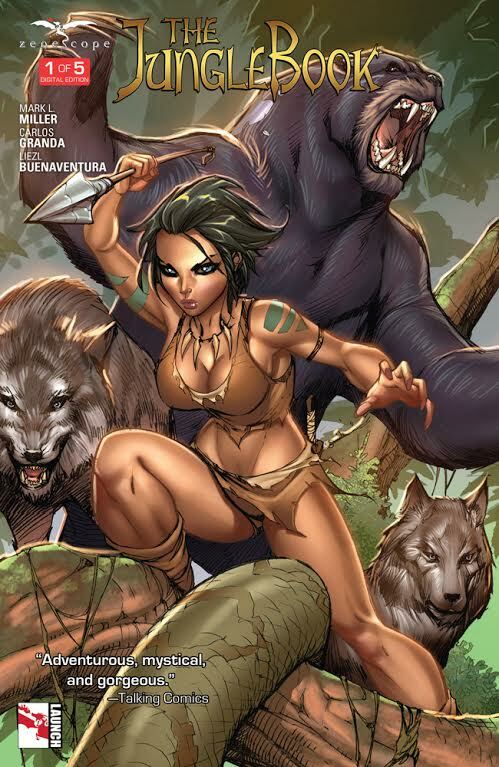 The announcement also sees the digital debut of Zenescope Entertainment’s entire catalog in the Kindle Store, including such hits as Return to Wonderland, Escape from Monster Island and Grimm Tales of Terror. ComiXology, an Amazon.com, Inc. subsidiary (NASDAQ:AMZN), has revolutionized the comic book and graphic novel industry by delivering a cloud-based digital comics platform that makes discovering, buying and reading comics more fun than ever before. ComiXology's Guided View reading technology transforms the comic book medium into an immersive and cinematic experience, helping comiXology become a top ten grossing iPad app in 2011 and 2012 and the top grossing non-game iPad app in 2012 and 2013. Offering the broadest library of comic book content from over 75 publishers - and independent creators as well - comiXology will not stop until everyone on the face of the planet has become a comic book fan. ComiXology is based in New York City, with operations in Seattle, Los Angeles and Paris. For more information visitwww.comixology.com.